A huge part of my study abroad experience, probably like most other study abroad-ers, was traveling. Even before I went abroad, I knew that I was going to make it a priority for myself to travel. In addition to learning in the classroom, I wanted to learn by seeing and experiencing new places. When I decided to study abroad in Singapore during the fall of my junior year, I didn’t know what kind of travel opportunities this experience would present me with, but I was excited for the possibilities. I was not able to fathom the wide variety of transportation methods I would have to maneuver to reach my goal, and I hope to share a few of them here that made my study abroad experience so incredible. My family came with me because of course they were going to take advantage of this amazing opportunity, and wanted to see China, Malaysia, and finally Singapore where they would leave me to begin my own adventure. 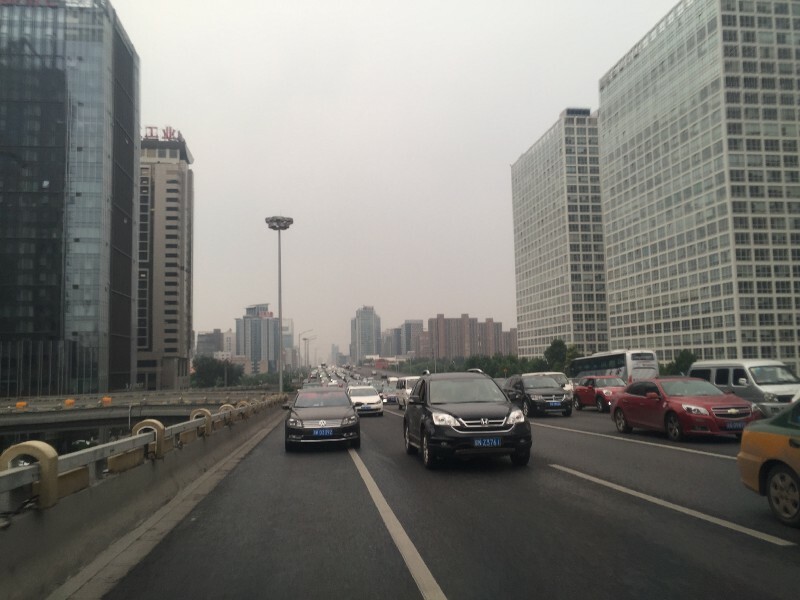 Our first trip was to Beijing, China. The main way we got around the city was in a little minibus with an English speaking tour guide. 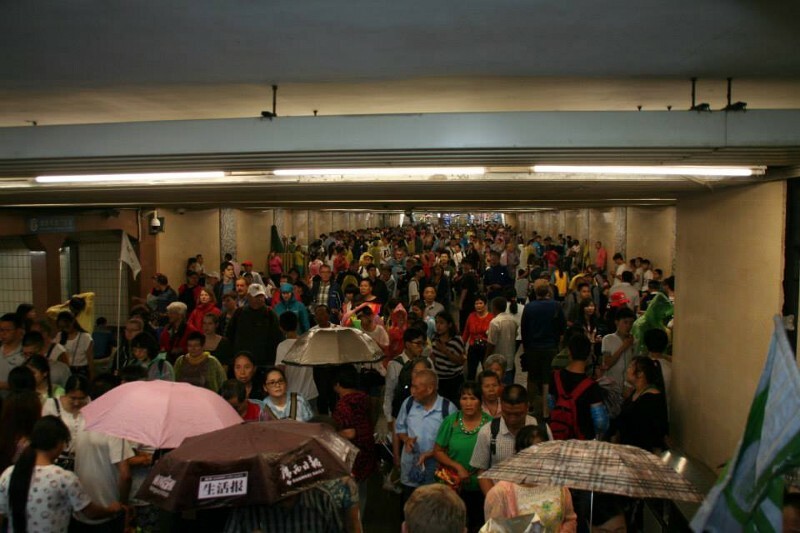 We were very thankful for this since Beijing was quite a shock, culturally and “transportationally.” Let me explain what I mean. You know those white lines on the side of the freeway that indicate the shoulder, usually for emergencies only? Well they have those in China; except everyone uses that small area as another lane. There were that many cars on the road. Everywhere we went we moved only inches at a time while drivers honked strategically as if communicating in code. From our tour guide, we learned that the license plate number of your car indicated what days of the week you were allowed to drive. Some people even got around that by having more than one car. Regardless, being a passenger was utter insanity and us Americans were white-knuckled the whole way. 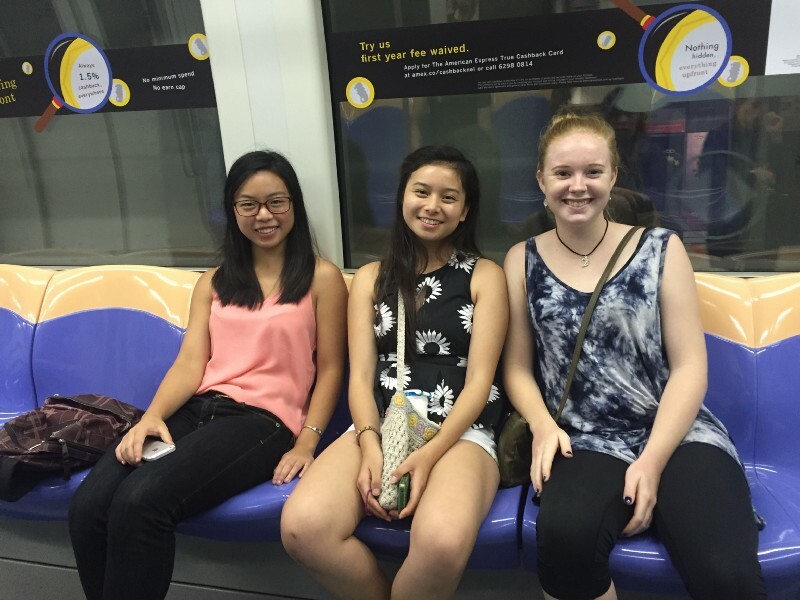 When we weren’t traveling by minibus, we thought we would give the subway a shot. As you can imagine, four, non-Chinese speaking folks attempting to get anywhere in China was quite a feat, but we somehow ended up where we wanted to be. 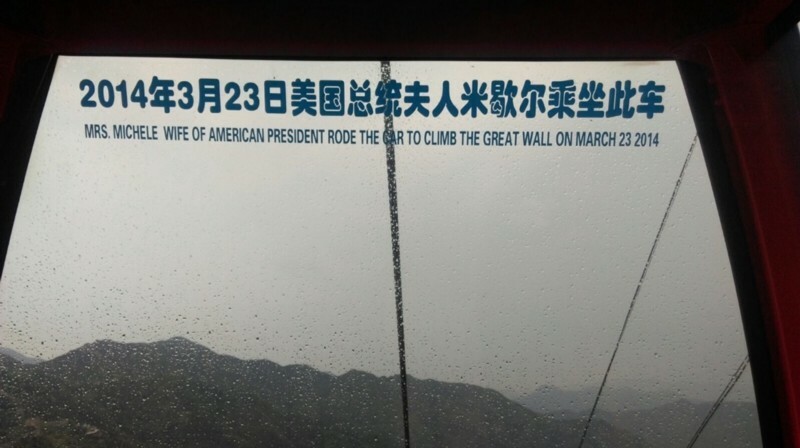 Oh also, when we visited a section of the Great Wall of China, we happened to land in the cable car that Michelle Obama had once ridden. So that was pretty cool. When I was finally settled in at the National University of Singapore (NUS), the main mode of transportation were buses and MRT (Mass Rapid Transit), the underground subway. Coming from the suburbs of San Diego and going to college in small, cowtown Davis, CA, the subway was a new and exciting way for me to get around a city. And I was a HUGE fan. From my limited experience with subways in California, Singapore’s system was extremely clean and precise, as indicative of its essence as a country. It was an inexpensive and very convenient way of getting around the entire island. Whether you were coming back from shopping or from a long night out at a club, the MRT was always there for you. Vietnam was one of my favorite places to travel to and involved quite a bit of transportation. A few friends and I flew on Vietnam Airlines to Hanoi, and got served a delicious lunch. After spending a few wonderful days in Hanoi, we wanted to get to the coast to see an island just south of the famous Halong Bay. The best way for us to get there (apparently) was to take a 5 hour bus ride leaving at 7:30am, get on a boat, and then get on another bus. 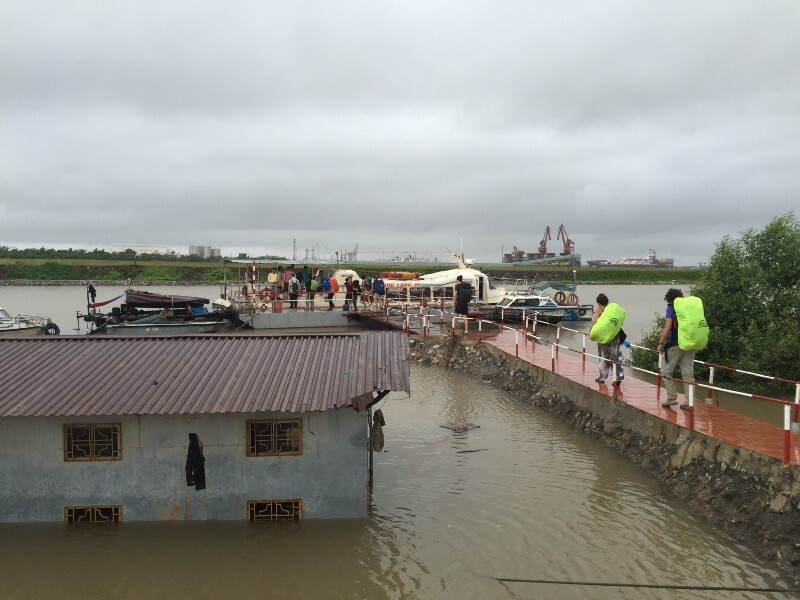 We were excited that it was low tourist season, but that also meant it was monsoon season with heavy, heavy rains. 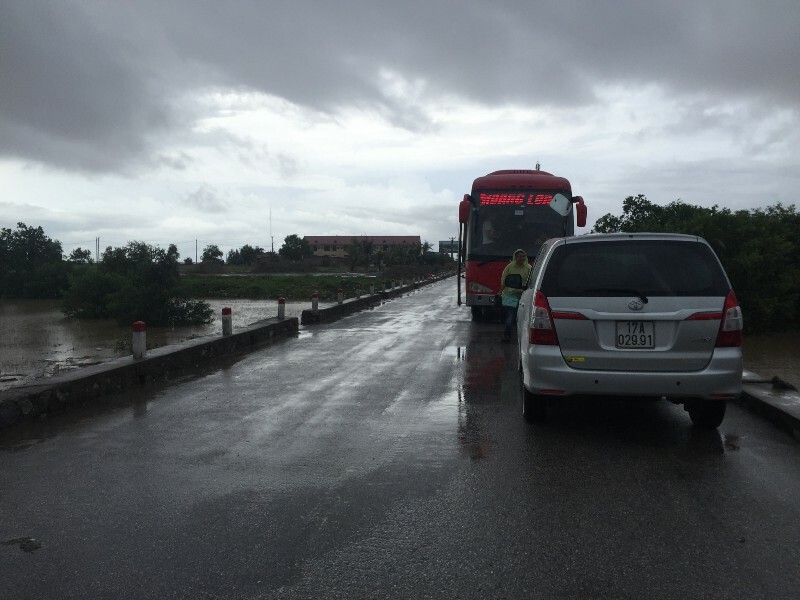 We experienced the effects of this not 10 minutes into our bus ride as we were slow-going in the river that used to be the road. Somehow, we made it to our first destination at the coast, and hopped on a small, cramped boat that took us to the island. Once on the island, we got on yet another bus that drove us through the rain forest on winding roads until we finally reached the town where we would stay. 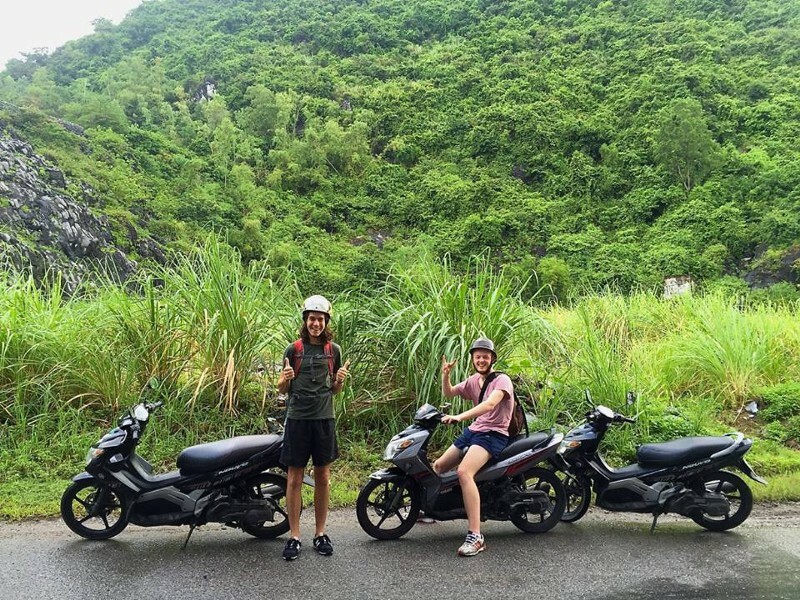 The first thing we did when we got to our hostel was rent mopeds and we biked along breathtaking roads through more greenery than I think I’d ever seen before. The boat we were about to board and all the flooding! 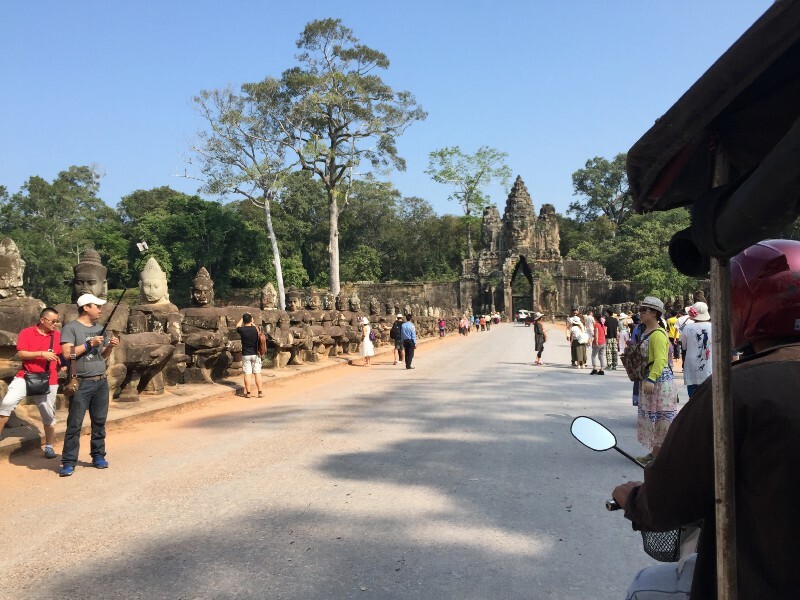 Cambodia was number one on my places to visit in Asia, and when my Californian friend Rosely wanted to go for her birthday I was completely on board. 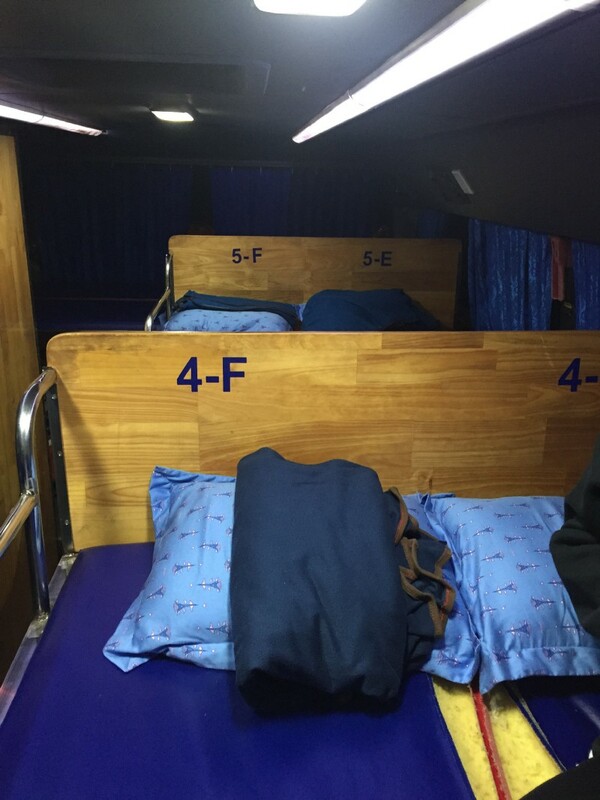 We thought it would be very fun, economical, and time efficient if we took a night bus from Phnom Penh to Siem Reap: our ultimate destination. Not only were we exhausted by 11pm when the bus was finally supposed to depart, there was a mix up with our seats and we had to negotiate with the people in our seats using only gestures that they were in our seats. After some time, we got things figured out and were excited to finally get some sleep. After passing out for what seemed like only 10 minutes, we were shaken awake by intense bumping of the rickety, old bus. To our dismay, the 6 hour bus ride was on a pitch black, completely dirt road. Looking out the front window of the bus, we had no idea how the driver knew where he was going in the dark with very dim lit headlights. Our bus at least had a bathroom, but this turned out to be quite a challenging experience. Squatting over a bucket-like toilet while on a moving bus driving over endless potholes isn’t the easiest thing to do. To say the least we got no more sleep on that bus ride and patiently awaited our arrival in Siem Reap. 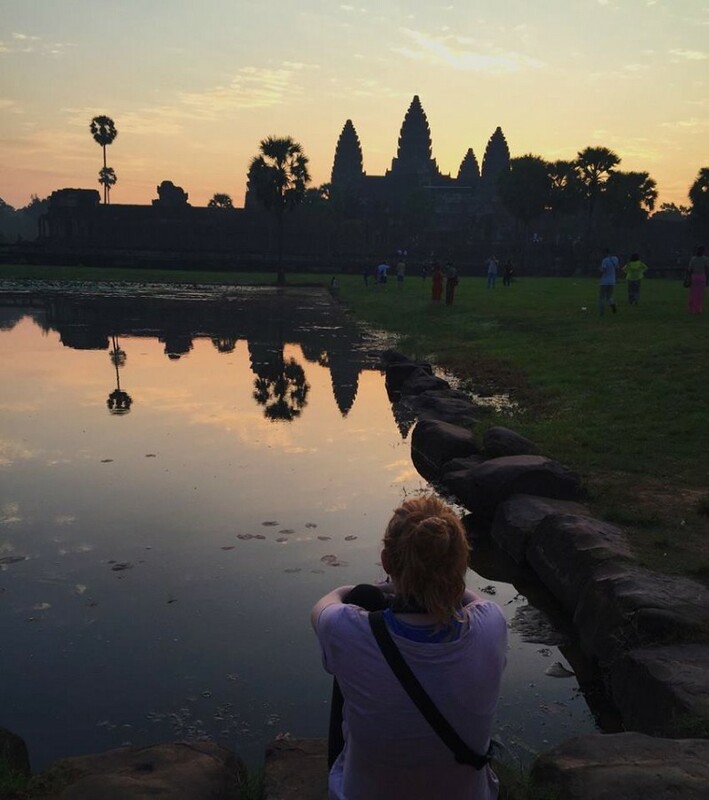 In the end, we were grateful for the timing of everything as we arrived at 5am and were able to watch the sunrise over Angkor Wat, the famous, magnificent temple city. At our bus stop, we were met by a tuk-tuk driver that we had arranged for before our departure and he ended up taking us all around Cambodia for the following 3 days. For those who don’t know, a tuk-tuk is basically a small cart attached to the back of a moped. The carts are open on all sides so you get a nice breeze while driving through the hot, sticky East Asian air. My favorite part on this trip was driving out to the countryside along miles and miles of rice paddies and small, tourist-free villages to get to a waterfall hike. It was so beautiful seeing how simple people lived when their lives didn’t revolve around tourism. After some amazing, temple hopping days in Siem Reap, we headed back to Phnom Penh on the (dreaded) night bus. Thankfully, on the way back we were so exhausted and fulfilled from our adventure we slept most of the ride. On a week-long vacation from school before finals, I hopped on over to Indonesia with a couple friends for a few days. 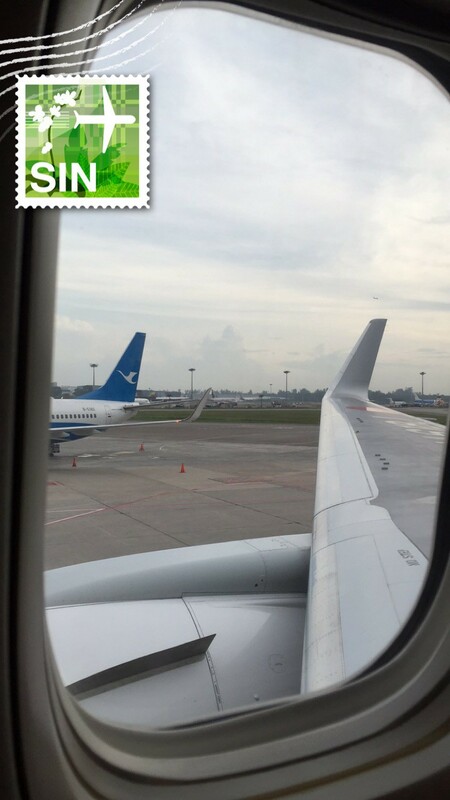 The relatively short stay in Indonesia provided us with many transportation adventures starting as soon as we landed at the airport in Yogyakarta in South Central Java. We had to take the local city buses to our hostel. The bus stops were situated in the middle of the streets and were narrow, covered platforms that only comfortably fit a couple people. When the buses arrived, they only stopped for a few moments before departing, so you really had to know which bus you were getting on. Of course we didn’t and we missed our first couple of buses. Some kind locals gave us a hand and when the next bus came we had to scramble and rush to get on. The bus was stopped a few feet away from the station so we had to jump with all our stuff and almost left one of us behind! 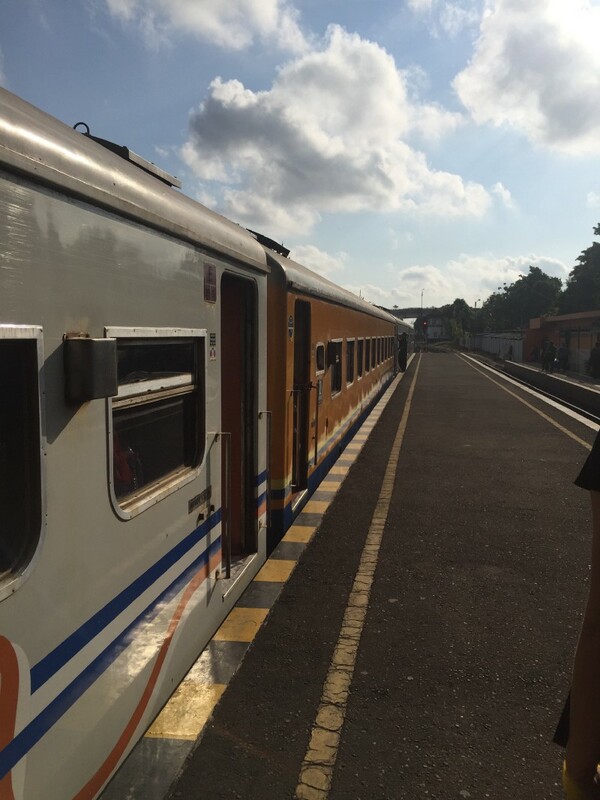 After a few days in this city, we wanted to get over to the East side of Java to hike into an active sulfur volcano (crazy, I know), but to get there, we had to take a 15 hour train ride. Being cheap student travelers that we were, we of course got tickets for economy seats. When we first got to our seats (cushioned benches really), we were happy to see all the room we had with two benches facing each other for three of us. After making a few stops, quite a few people were getting on the train. And we soon realized that we really only purchased tickets for one of the benches and that three older ladies were interested in their seats that we had made our own. So the three of us crammed onto one bench, knee to knee with the ladies on the other bench, and took turns at the window seat to sleep until we arrived in Banyuwangi where we would start our volcanic trek. I can’t write about traveling in Asia without giving a shout out to the magical portal that brought me there: Changi Airport. Like most things in Singapore, this was no ordinary airport. Imagine a theme park, botanical garden, spa resort, art museum all combined into one never-ending building connected by trains that also happens to have airplanes departing to and arriving from all over the world. Seriously, though, there’s a butterfly garden, giant slide, movie theater, brand name fashion stores, and every type of restaurant you can think of. Some of the local students I met during my stay even told me they went there just to study. This airport became pretty familiar to me by the time I left. I got used to swiping my Permanent Resident visa, bypassing customs, and easily walking into the country like it was my own. Even though I spent a lot of time traveling and planning my next trip (all in between studying, of course), Singapore really did become a home-base for me. Traveling to other countries made this very obvious and I am grateful for the opportunity to have had such a place to call home, even for a short while.